Elantec specialised in the production of high quality reproductions of ‘Grand Prix EK10’ pedal cars, which were originally manufactured by the French toy company Eureka between 1928 and 1939. 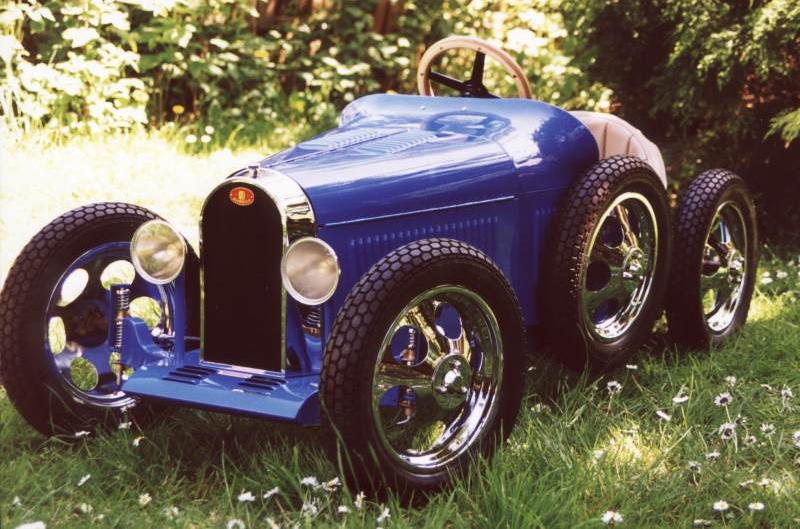 Two versions of the pedal cars were available - based on a BUGATTI Type 35 and the 1932 PANHARD LEVASSOR. Every car produced by Elantec was hand crafted to order, uniquely serial numbered, and constructed from high quality materials using similar methods of construction wherever possible. Elantec was a small family business located in Fareham, Hampshire in the United Kingdom. Our main line of activity was originally in engineering design and prototype manufacturing. 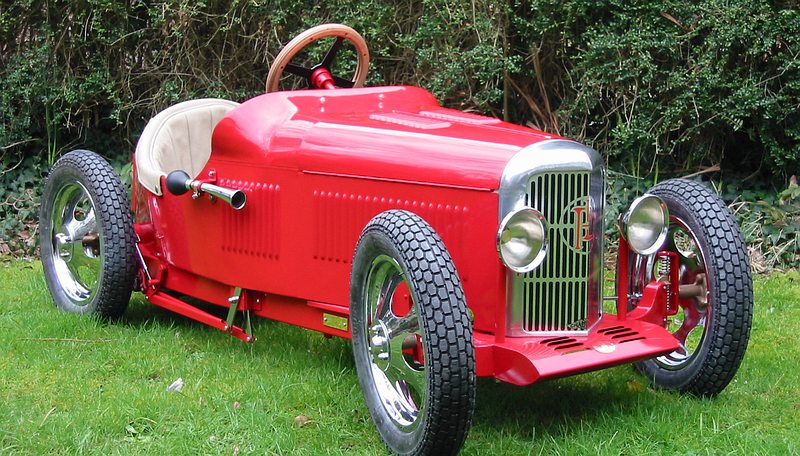 The construction of these pedal cars began as something of a hobby, but subsequently grew into a key part of the business. Both cars featured a basically identical body and chassis consisting of spot welded sheet steel with open louvres to the bonnet and body, and wired edges around the cockpit.